Priya Manwaring is a Cities Economist for the International Growth Centre, based at the Blavatnik School of Government in Oxford. She is working on the IGC’s Cities that Work initiative, developing the IGC’s network of economists, urban planning practitioners and policymakers to translate economic research into clear urban policy guidance. 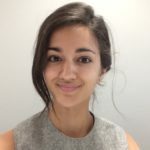 Priya holds an MSc in Development Economics from the School of Oriental and African Studies, University of London, and a BA in Philosophy, Politics and Economics from the University of Oxford. Her current research areas include urban land use and planning, public infrastructure and service provision, housing markets, urban employment and firm development, and municipal finance.